In this category there are posters on the technique of Sambo wrestling. These posters were created on the basis of M. Martynov's film My Personal Technique. Assuarance: replacement of a defective product due to the fault of the manufacturer. 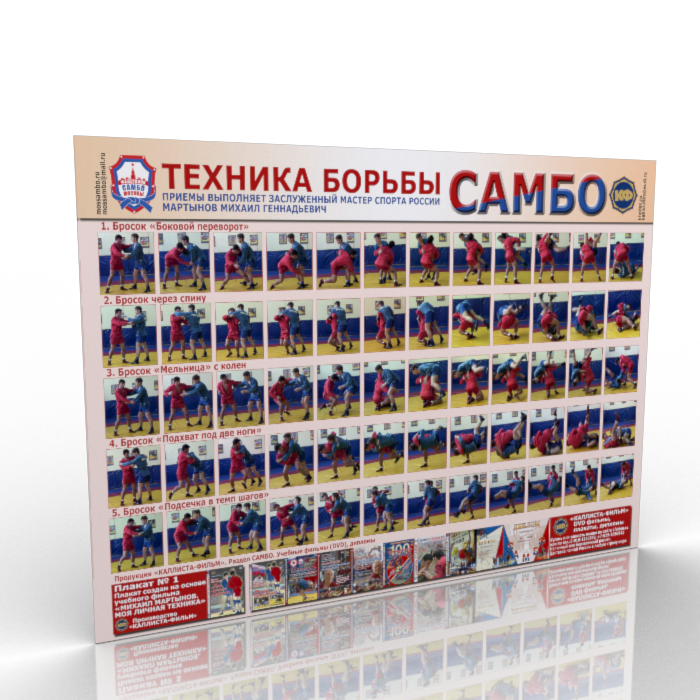 Poster of sambo.Back leg-show throw.